Beans and Bears, gourmet coffee, cookies, cocoa ,Ty Beanies, Buddies and Attic Treasure bears,Teas,,Tea soap, bath and body products. wonderful items that will tempt your taste buds. 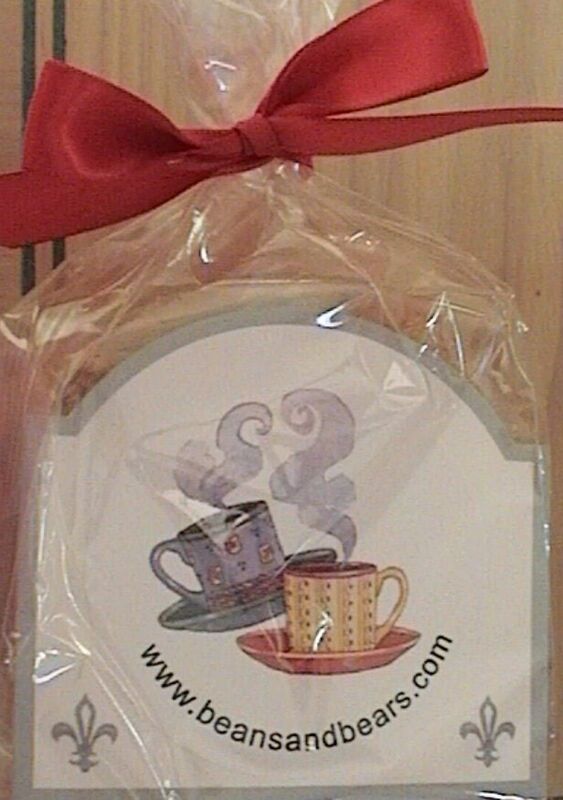 SPECIAL OFFER ~ Receive a Free Logo Coffee Mug with the purchase of 2 - 12 oz. bags of Coffee! Want to save our site and come back later? Use the link below to save us in your favorites. "Little Guide to Organizing Your Woman-Owned Business"
See 10 Specials available here at Beans and Bears & at our Tea Boutique Collection. For more information please fill out this form to have them emailed to you in just a few minutes. gift baskets, gift mugs and much more. We also sell Ty Beanies, Buddies, and Attic Treasure bears. enjoy your shopping experience with us today. ask us for it. You have come to the right place. satisfaction. If you don't like something send it back for a full refund. will find everything your looking for here. with our very own Specialty Loose Teas. Free Sample of Tea Soap with all orders from the Tea Boutique! right to your door every month. Enter your email to join Beans and Bears Newsletter today! Be the first to know when we offer specials to our favorite customers.